A business doesn’t prosper for 100 years by following the norm, and in a sector dominated by templates and mass production, Murray Latta Progressive Machine Inc. of Surrey prides itself on serving a huge range of industries as a custom machinery manufacturer and steel fabrication shop, as well as field millwright services with project management. What this often translates into are one- or two-off projects for clients in need of tailored solutions. In fact, the more standardized the manufacturing for the resources, food, transportation and other sectors becomes, the more Murray Latta is sought for its tailored services. 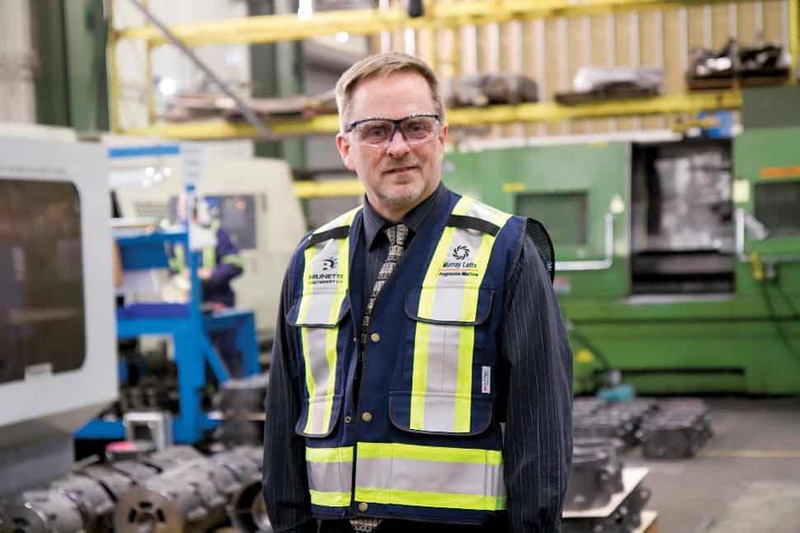 “Whether a client comes to us with an idea for a special valve, or is looking to speed up production or make it safer, we can help,” says president Dan Reader. Currently celebrating its centennial, Murray Latta lays claim to many notable achievements, such as its manufacturing expertise that helped Syncrude prevail in the Alberta oil sands in the 1970s, and for 40 years the company has installed screening equipment, carousels and baggage handling equipment, as well as passenger boarding bridges and other components for airports throughout Western Canada. Murray Latta’s impact in B.C.’s forestry, mining, and oil and gas sectors is well known, and it also has many colourful projects under its belt, such as providing some of the initial ski lifts in Whistler. Murray Latta’s expansion into field millwright and project management occurred shortly after the initial success of its custom manufacturing capabilities in the early decades of the 20th century. A partnership with Progressive Mill Supplies in 1954 enabled the company to distribute capital equipment, parts and consumables to the forestry sector, as well as upgrades, installation, maintenance and repair. More recently, the addition of the new Brunette Machinery Company in 2013 enabled Murray Latta to form a separate distribution firm whose product line and decades of design and manufacturing experience benefit the forestry sector. Today, the company’s manufacturing is undertaken in a 60,000-square-foot, fully equipped facility capable of CNC and conventional machining, equipment modification and rebuild and, of course, metal fabrication. In the realm of millwrighting, Murray Latta installs, maintains, repairs and offers training for all machinery and equipment it manufactures or distributes. Murray Latta’s work on the Seymour Dam spill gate is a good example of its manufacturing and installation capabilities, which in this case was directed toward improving the facility’s method of manually releasing 40,000 coho fry from the reservoir. Murray Latta’s certified welders and machinists fabricated the spillway gate to the engineer’s specification, transported the machinery to the dam, and used mobile cranes to assist with the installation. Murray Latta continually supports careers in manufacturing and participates in the trade apprenticeship programs through the ITA (Industry Training Authority), maintains its corporate certifications and standards and promotes a corporate and individual safety culture as a member of the BC Safety Charter. Created by BCBusiness for Murray Latta Progressive Machine Inc.